October was a quiet month as far as operational mobilisation is concerned. After attending 3 incidents in September, Local SES volunteers were not called upon to attend any incidents in October. The lack of jobs allowed us to concentrate on the training and preparation that is necessary to be ready to respond immediately when required. 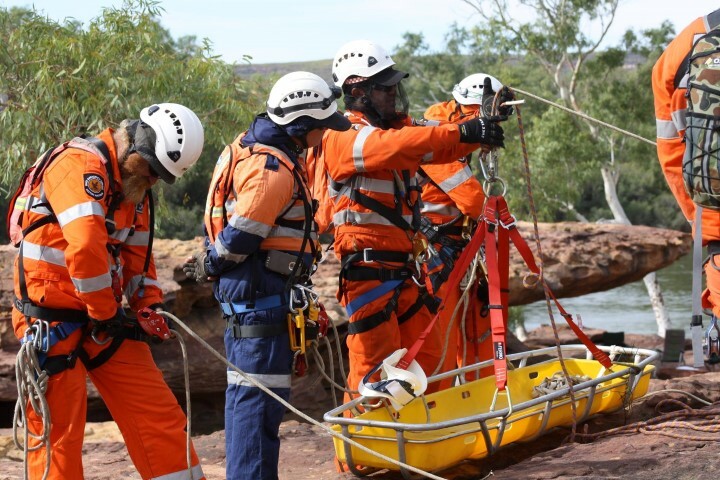 Local volunteers assisted with continuation training for volunteers from the south west over three days at Hawks Head and Gregory Rock. While the training was aimed at people from other areas aspiring to be rope rescue team leaders, it gave the locals an opportunity to review and practice their skills as team members. Rope rescue requires that skills are practiced regularly under realistic conditions and this training was perfect opportunity to do just that. 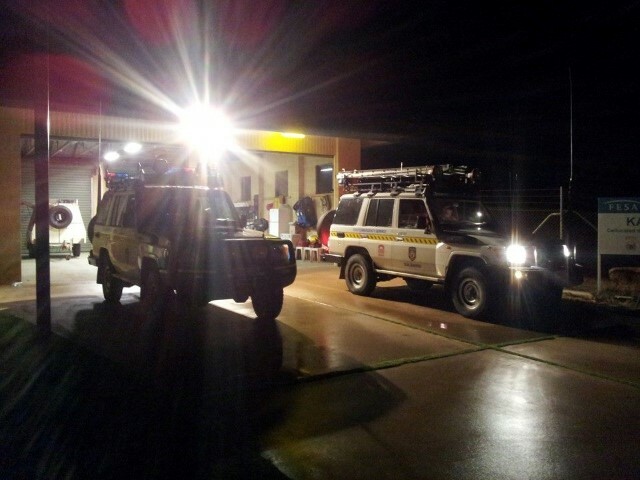 A number of training rescues were completed successfully including night time rescues. When attending incidents, SES volunteers along with all emergency services throughout Australia utilise the Australasian Inter-Service Incident Management System (AIIMS). This ensures that all organisations attending the incident are working from a common framework and establishes a command structure. One local SES member attended a 4-day course in Geraldton and qualified as a Level 1 Incident Controller under the AIIMS framework. Level 1 Incidents refer to those that can be managed at a local level utilising local resources. On the evening of Monday 23/10/2017 Local SES members took part in an exercise aimed at practicing storm damage and urban rescue skills. 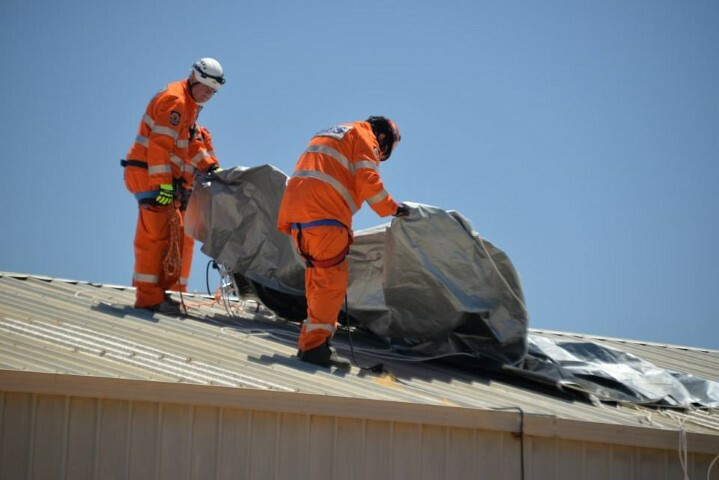 The exercise scenario consisted of simulated severe storm damage to the roof of Kalbarri Men’s Shed requiring volunteers to respond and assess and repair the damage utilising a roof safety system allowing volunteers to safely cover the damaged area with tarpaulins. Just as the job was being successfully completed a spanner was thrown into the works when a volunteer was (simulated) electrocuted after touching a live wire. This turned the exercise from storm damage repairs to a full on urban rescue with volunteers applying first aid and using a stokes litter (rigid framed stretcher) and a rope and ladder system to lower the casual safely from the roof to medical care. Fortunately, the casualty recovered fully after rescue and a de-brief was held to assess how the incident was dealt with. Many thanks the Kalbarri Men’s Shed for their support and assistance in supplying the venue for this exercise. 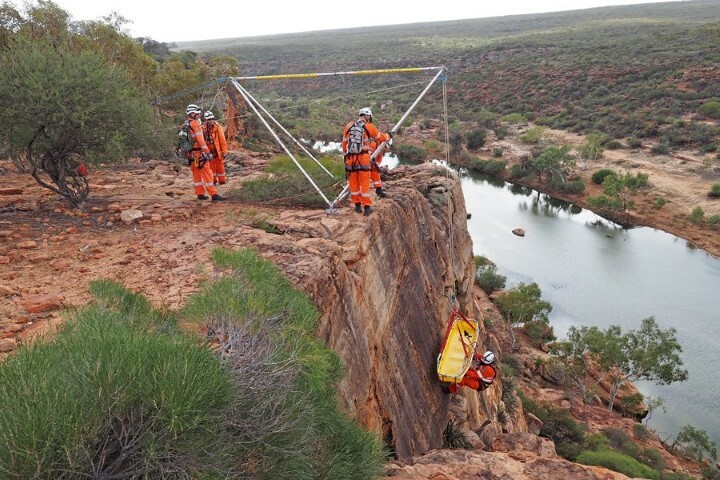 Kalbarri SES holds training at Unit headquarters every 2nd Monday from 1845hrs to 2100hrs. The training is interactive with volunteers responding to various scenarios and developing and practicing various responses. All training is accredited and provided at no financial cost to volunteers.